The Council is pleased to announce the Top Company Rankings for numerous disciplines as derived from the list of projects appearing in 100 of the World’s Tallest Buildings. 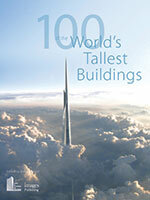 This book is the latest edition in the CTBUH “100 Tallest” series, which represents a snapshot of the tallest buildings complete or under construction at the time of publication. We now recognize the achievements of the companies responsible for these buildings, ranking them by the number of published projects across multiple disciplines. Click on the links to the left to see each representative discipline, as well as the list of buildings that appear in the book and graphics that illustrate how the towers vary by location, structural material, and function. Also find here the criteria used to determine which disciplines were represented in the study. Company/Discipline Inclusion Criteria: Only disciplines that had data entries for at least 60% of the buildings in the book were included in this study. The Company/Discipline Inclusion list shows the number of buildings from the book (out of 100 buildings total) that had data entries for each discipline. If you find you are not recognized for projects that you were involved in or your discipline is poorly represented, please help us build up this information and submit changes through this form. Only disciplines that had data entries for at least 60% of the buildings in the book were included in this study. The below list shows the number of buildings from the book (out of 100 buildings total) that had data entries for each discipline. If you find you are not recognized for projects that you were involved in or your discipline is poorly represented, please help us build up this information and submit changes through this form.